The Huracan is the first Lamborghini with a fully electronically controlled four-wheel-drive system. Lamborghini's newest supercar will have the best sales year of any model in the automaker's 51-year history in 2015, CEO Stephan Winkelmann predicts. Why is he so bullish about the new Huracan LP 610-4? Because Lamborghini sold more than 1,000 units of the Gallardo's successor in its first two months on sale this year. Winkelmann shared more thoughts on the Huracan, which means Hurricane in English, and the future of the Volkswagen Group subsidiary with Automotive News Europe Managing Editor Douglas A. Bolduc. What are your expectations for the new Huracan? It is already selling at double the pace that we expected. In its first two months on the market sales already have exceeded 1,000 units. 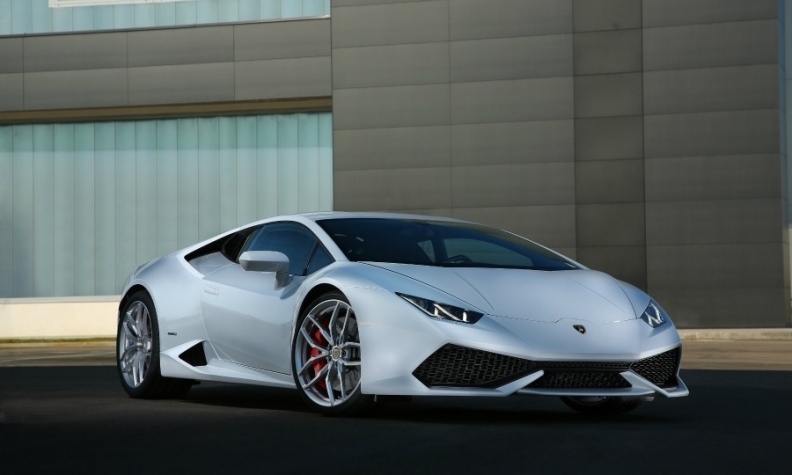 Next year the Huracan will exceed the Gallardo’s best sales year of 1,844. It has huge potential to bring us new customers while also appealing to existing Lamborghini owners. What makes the Huracan special? First of all it’s an all-new car. It is the first Lamborghini with a fully electronically controlled four-wheel-drive system, and the Huracan’s new V-10 engine is linked to our new seven-speed dual-clutch transmission. Also, it has a hybrid chassis made from carbon fiber and aluminum that is 10 percent lighter than the chassis used on the Gallardo. MAIN CHALLENGE: Successfully launching the Huracan while maintaining buzz for the forthcoming Urus SUV. 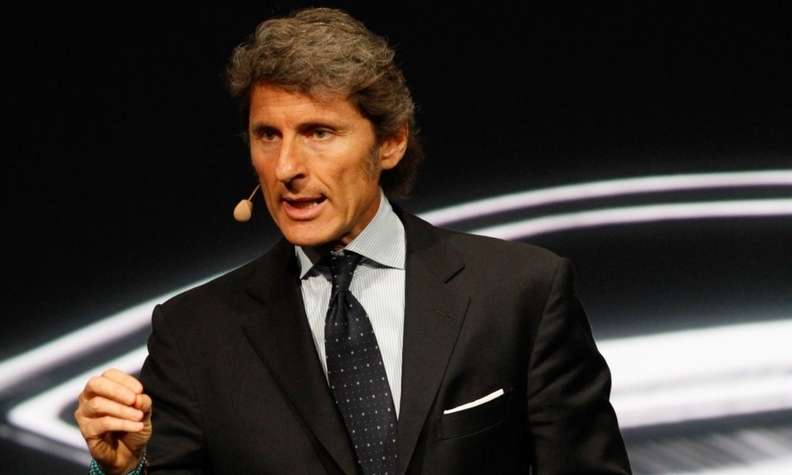 Stephan Winkelmann: "We still have a lot of potential to tap in our existing markets." You delivered 2,121 supercars last year, up from 2,083 in 2012. Will you top that last year’s total this year and is your sales record of 2,430 set in 2008 at risk? We’re still ramping up the Huracan so we hope to match our deliveries of last year and beat the 2013 total in 2015 with a full year of availability of the Huracan. The 2008 record could be at risk next year because of the strong demand we expect for the Huracan. Could you update us on the forthcoming Urus SUV? We’re not talking much about the Urus because we are fully concentrating on making the Huracan’s launch a success. What I can say is that the Urus project is moving forward as expected. Did supercar makers avoid the worst of the global financial crisis? We are not immune to a crisis. We have tried to offset any negative affects by launching a new model or a derivative model every year. When will China pass the United States to become your No. 1 market? The U.S. should keep its lead for a long time. We sold 690 supercars in the U.S. last year. China was No. 2 with 205 sales followed by the UK, Middle East and Japan. The U.S. is also still the clear global leader for ultra-luxury car sales. What is your outlook for Europe? Europe sales should be up slightly compared with last year. How many dealers do you have and how many will you have by the end of 2014? We have 129 dealers worldwide and will add a small number more, such as less than 10, this year. Do you plan to keep expanding in emerging markets? Yes, we will soon enter Vietnam, but even more important to us is to expand in mature markets. We still have a lot of potential to tap in our existing markets. We plan to do that by providing additional training to our dealers to make sure our high standards of service are consistent around the world. Your sales in Italy have been hurt because some supercar owners have been targeted by authorities as part of a government crackdown on tax evaders. Will this change with the election of a new government? Yes, some of our customers were stopped by the Italian finance police while driving, which they said made them feel hunted. During a time of financial crisis like we have had in Italy, that type of action sends the wrong message, especially against a high-end luxury icon that brings the Made in Italy label around the world. We have been told that the new government wants to provide some tax relief. It’s too early to say whether this promise will be kept. Lamborghini has hired 300 new employees in the last three years, taking the company’s total headcount to 1,029 people. Will you add more people in 2014? Adding staff is important for us and very good for the Sant’Agata Bolognese region. We can’t say exactly how many new jobs we’ll add this year, but about 50 would be a fair number.